Sussex is home to some of the warmest towns in the UK and is an ideal climate for many plants. Selsey in Sussex is renowned in the UK for its tornados, the 1998 one being the worst. As well as damaging buildings and vehicles it decimated many trees and shrubs. Sussex is not short of garden centres with the largest one being Haskins at Snowhill and the next largest also being a Haskins Garden Centre at Roundstone. 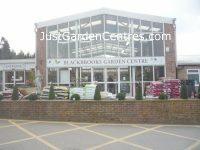 Blackbrooks Garden Centre has been run by the Winchester family from when they bought the site in 1988. From that time until 2011 Blackbrooks has undergone steady development in to a largish garden centre ..... Click here for our full review. Garden Pride Garden Centre in Ditchling is the 48th largest garden centre in the UK with a turnover of £6.3m. It is family owned and has undergone considerable expansion over the years ..... Click here for our full review. Haskins Roundstone Garden Centre underwent a massive redevelopment in March 2012 costing £12 million. The interior and exterior sales areas doubled in size and they built a 460 seater restaurant plus a ..... Click here for our full review. The plants area has a large covered portion which is ideal for plant shopping when the weather is not so good. The plants at this garden centre are all well kept and there is a wide choice. Shrubs and trees are ..... Click here for our full review. This garden centre dates back to 1948 when it was called Swanborough Nurseries. They began as a market stall selling cut flowers and vegetables. It has good quality plants bought through the ..... Click here for our full review. The garden centre plants area is laid out in a very pleasant manner encouraging you to browse the range of plants they display. They most definitely do specialise in shrubs (especially conifers) and ..... Click here for our full review. Newbridge Nurseries have been at their current site from 1970 the business has always been in the capable hands of the Wait family. 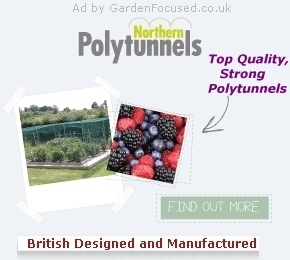 They differ from the majority of large garden centres because they grow ..... Click here for our full review. It's unusual to find an outlet of Wyevale Garden Centres which actually grows some of its own plants but the Old Barn Nursery and Garden Centre is just that. This is a large garden centre, 94th largest in the ..... Click here for our full review. Squires at Washington has a large plants area with an excellent choice of shrubs, bedding plants, vegetable starters, fruit, ornamental and fruit trees. Hardy plants come with a three year year ..... Click here for our full review. Copyright 2010 - 17 JustGardenCentres.com All rights reserved. Bosworth Garden Centre building houses news.